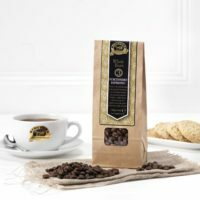 Ringtons Ethically Sourced Whole Bean Coffee is initially sweet with a spicy finish. It has a rich & smooth taste. Ideal for any espresso based coffee, our beans are vacuum packed at source before being roasted in our factory, you can be sure these beans are the freshest around.